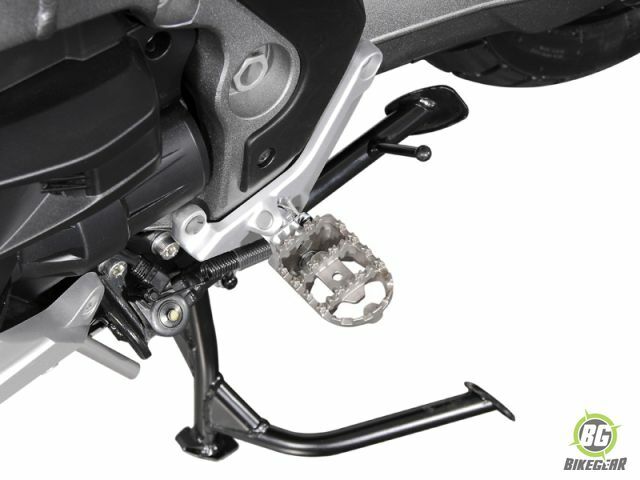 SW-MOTECH On-Road/Off-Road Footpegs flexible design caters for both street and off-road riding. 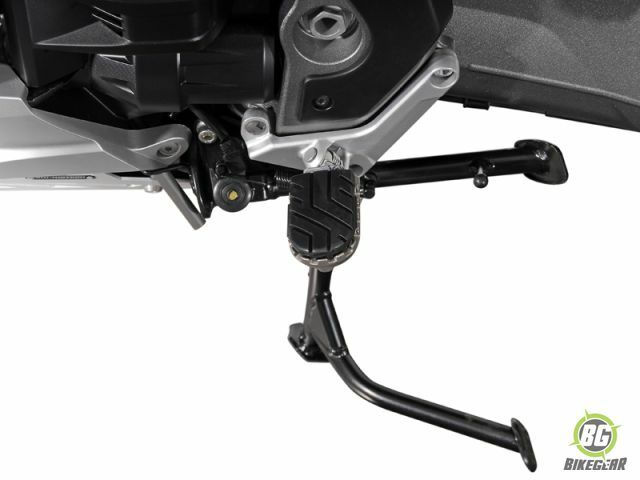 The convertible On-Road/Off-Road Footpeg system from SW-Motech allows you to replace your stock pegs with wider pegs at one of two heights, complete with a removable rubber pad for quick conversion from on to off-road application. 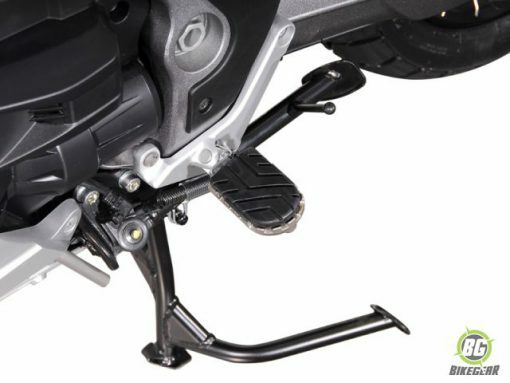 Bike-specific mount and set of footpegs with removable textured rubber foot pads are included. Attaches to original footpeg mount. Footpegs are made of high-grade, corrosion-resistant stainless steel. 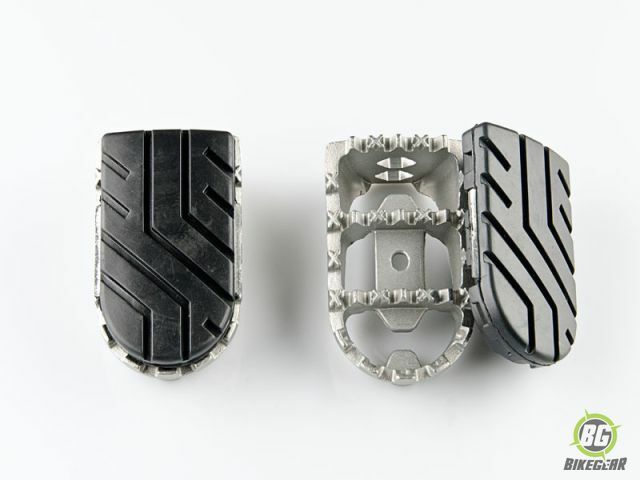 Removable rubber pads reduce vibration. 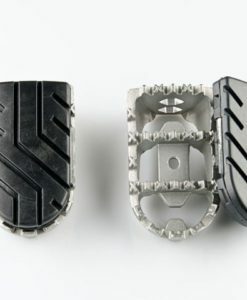 Textured surface on rubber pad provides superior traction. 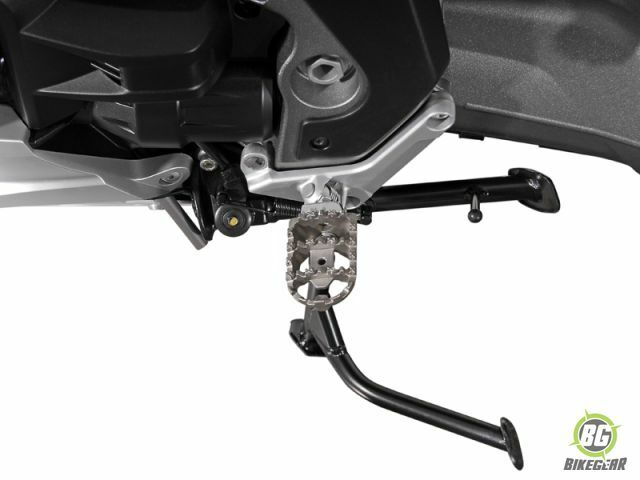 Footpeg mount is CNC-milled from high strength aluminium alloy. Can be lowered 15mm from stock position. 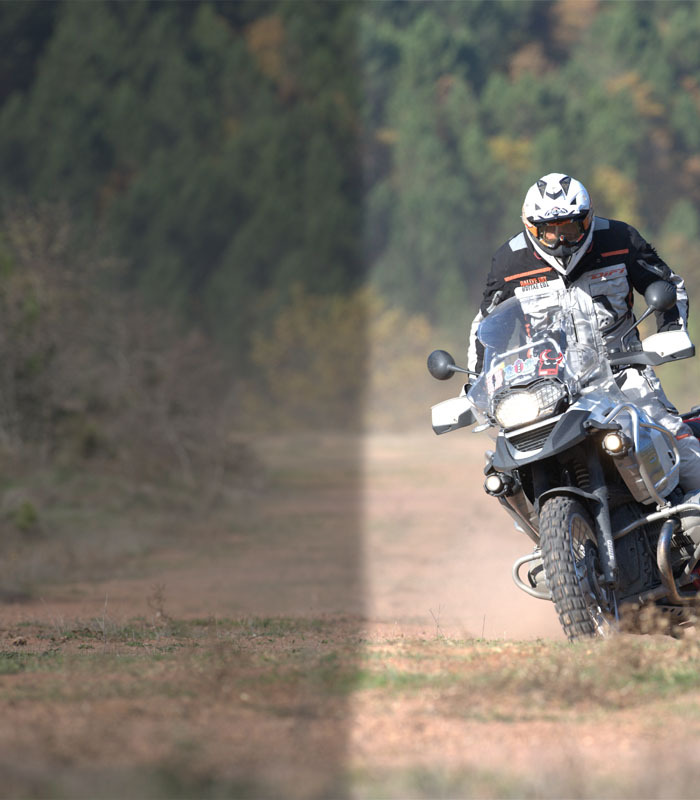 Convertible design great for both street and off-road riding. Pegs with rubber attached are 50 mm wide and 75 mm long. Visit our SW-Motech Foot-peg page to view the entire range.